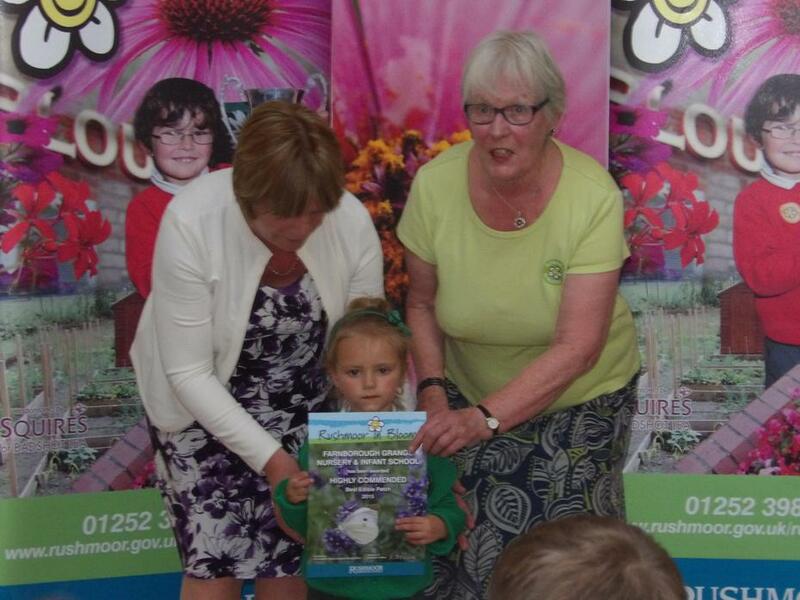 The Rushmoor in Bloom judges awarded our Nursery 3rd Place for "Best Pre-School/Nursery Project." 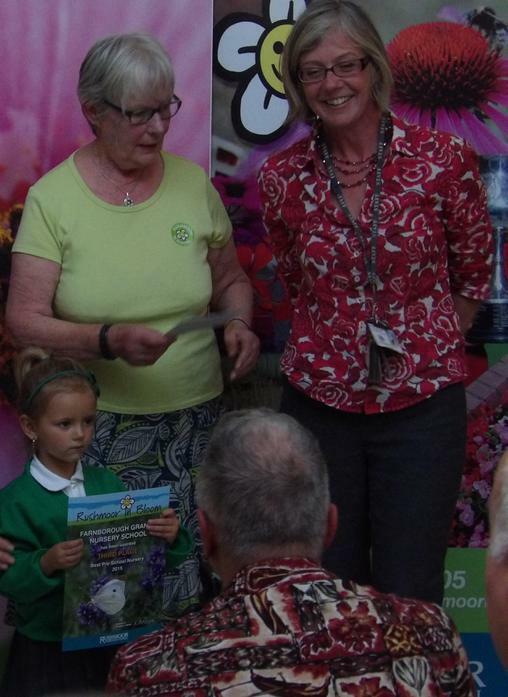 Scarlett and Mrs Tinson collected our certificate and vouchers at the award ceremony on the 10th September. The school was also awarded "Highly Commended" for "Best School Grounds" and "Edible Patch."